If your debts are piling up, and you don’t see any way to pay them off, a knowledgeable Muskogee bankruptcy attorney can help you put yourself back on the road to financial recovery. Real people have real reasons for considering bankruptcy – job loss, underwater mortgages, foreclosure proceedings, medical debts, business reverses, or past-due student or consumer loans. In 2012, there were 1,862 bankruptcy filings in Oklahoma’s Eastern District, which includes Muskogee and the rest of southeastern Oklahoma. That was a decline from levels in previous years: in 2010, the Eastern District saw 2,351 filings, compared with 2,008 in 2011. In other parts of the state, more than 10,000 Oklahomans sought bankruptcy in each of the past two years. 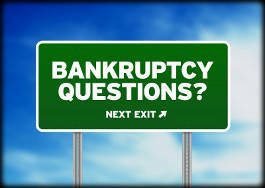 Nationwide, personal bankruptcy filings eased from 1.3 million new cases in 2011 to 1.18 million last year. An experienced Muskogee bankruptcy attorney can help answer your questions on avoiding or dealing with harassing collection calls, threatened lawsuits and credit score worries. Learn about out your options — you don’t have to face these problems alone. Call the Wirth Law Office Muskogee attorney at 1 (888) 447-7262 today, or toll-free at 1-(888)-947-8452 (Wirth Law) for a free consultation with a skilled Muskogee bankruptcy lawyer on whether bankruptcy is right for your situation. Our bankruptcy lawyers can help you examine all your alternatives, explore whether a Chapter 7 bankruptcy or a Chapter 13 bankruptcy can help you wipe out unmanageable debt, and get you well underway to a fresh start. They can also help you explore alternative to bankruptcy — such as credit counseling, negotiating agreements with creditors, combating illegal debt collection practices, or restructuring your budget – and help you with other credit-related issues. Since 2005, when Congress enacted the Bankruptcy Abuse Prevention and Consumer Protection Act, bankruptcy courts take a detailed look at bankruptcy petitioners’ income levels and ability to repay debts. Extensive financial disclosures are need for the means test set for Chapter 7 petitioners and the debt repayment calculations for reorganization petitioners under Chapter 13. Petitioners are eligible to file under Chapter 7 if their income is below the state’s median for their household size – as of May 2012, these levels were $38,649 for an individual, $49,838 for a two-person household, $55,015 for a household of three people, and $62,301 for a four-person household. Persons with higher income may still be able to file under Chapter 7, but will have to provide extensive details on their expenses and secured debt payments. Most Chapter 13 petitioners for debt restructuring will have to make similar disclosures. Bankruptcy petitioners in Oklahoma in must also take an approved course in credit counseling before filing a bankruptcy petition, and must complete debtor education sessions before a bankruptcy discharge of debt can be granted. Don’t let your financial problems get worse; get help today, by calling the Wirth Law Office in Muskogee at (918) 913-0725, or toll-free at 1-(888) 447-7262 (Wirth Law) for a free consultation with an expert Muskogee bankruptcy attorney. If you prefer, you can use the box in the upper right corner to send us a short message.